With Jesus’ command to love our neighbours (Luke 10-27) ringing in our ears, Christian Aid Week is a great time to show that love to our global neighbours and to our neighbours down the street. We believe that Jesus calls us to love our neighbours – and not just the ones next door or at the end of the street. We are all made in God’s image, which means the whole world is our neighbour and every person in it is precious. 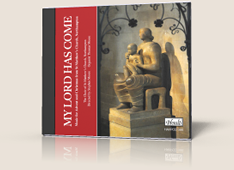 money and help transform the lives of some of the world’s poorest people. This year Christian Aid Week was concentrating on Bangladesh and their floods. We have had our fair share of floods in the UK but the devastation it leaves in Bangladesh is far greater than here. Average rainfall is increasing but dry spells are getting longer. Sea levels are rising and flooding is becoming more and more frequent. The poorest communities find it hardest to recover when disaster hits, making it almost impossible for them to escape from poverty without help. 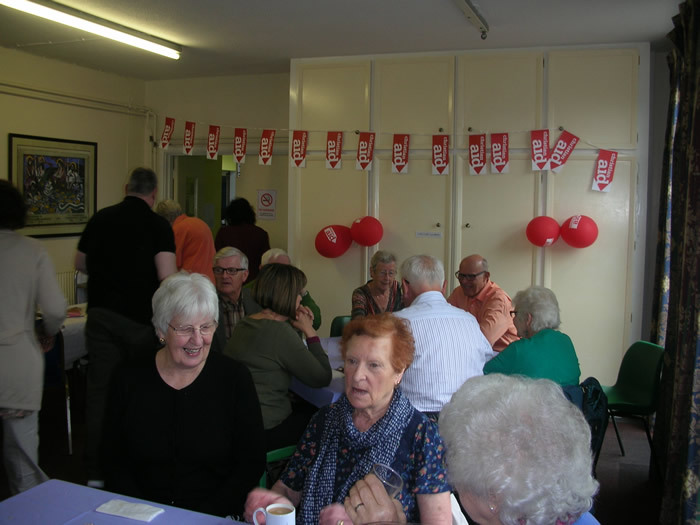 Our well established Coffee Morning and Tombola at our Christian Aid co-ordinators’ house on Saturday 14 May, from 10.00am to 12.00noon. Having breakfast! Christian Aid is launching a Big Brekkie this year and is encouraging churches to have a fry up – well, we have been well ahead of them for a few years now! 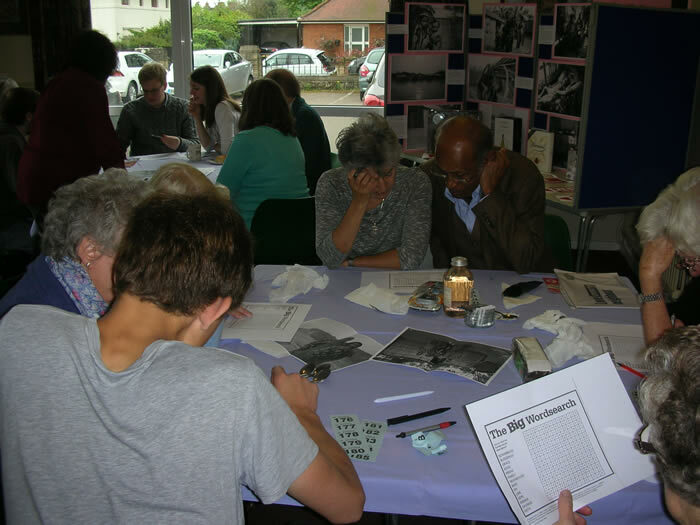 Ours was on Saturday 21 May at 9.30am in the Parish Centre. Tickets were £5. Donating via the distinctive red and white envelopes. 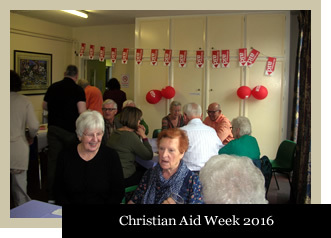 From these events Christian Aid Week this year was an overwhelming success with £984.91 raised which with gift aid will rise to £1085.91. 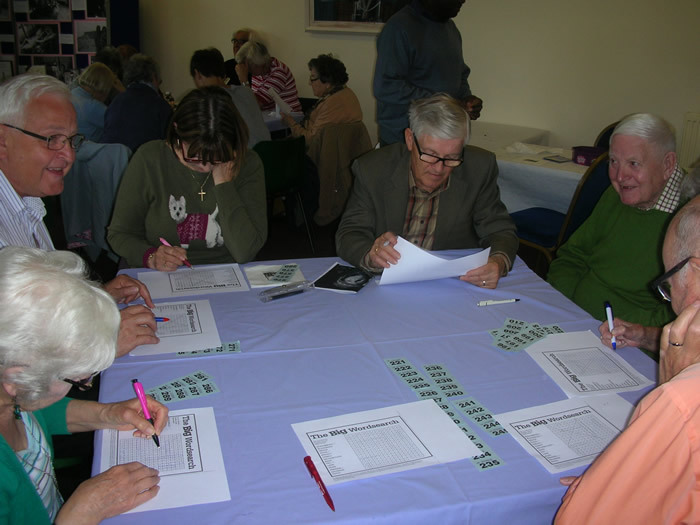 This would not have been possible without the huge support of everyone who attended the coffee morning and breakfast. 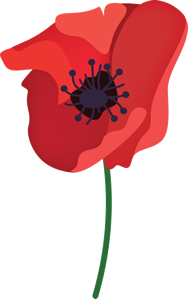 A special thank you to those who bought tickets for the breakfast although they could not attend and those who gave donations for the coffee morning, again knowing they couldn’t be there in person. 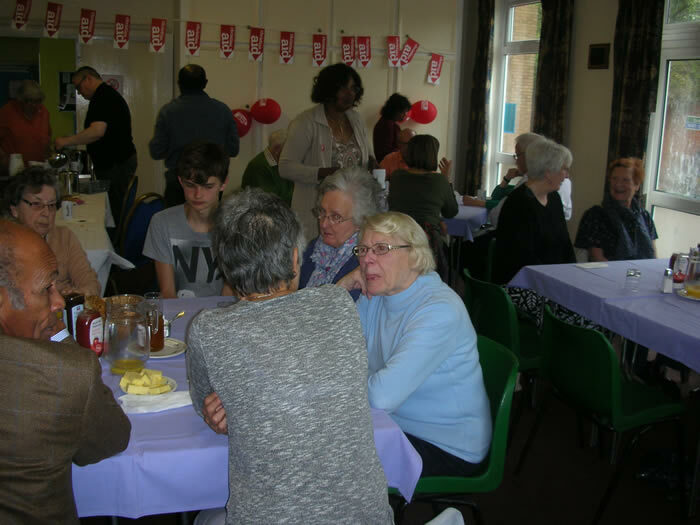 The Friday lunch takings of £36.90 during Christian Aid Week was also donated. Thank you to Fr Peter for a brief insight into two women in Bangladesh, one of them Morsheda and her plight to save her children from drowning in the floods. 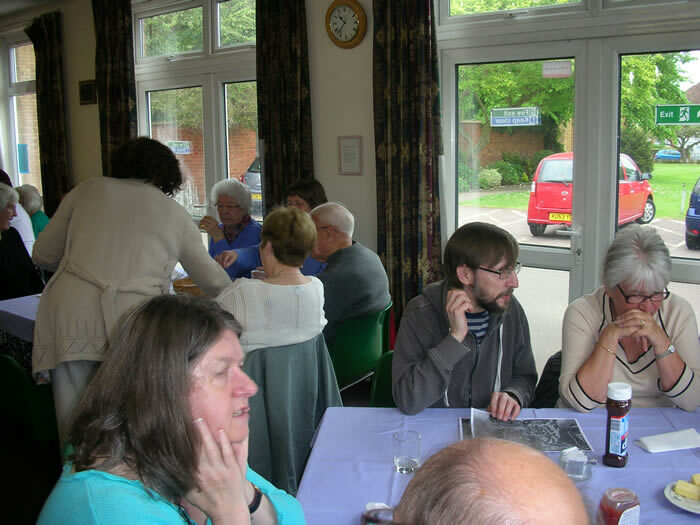 A massive thank you to the member of the congregation who always donates all the food for the breakfast, the Community and Mission group members for their help at both events and providing raffle and tombola prizes. Plus everyone who helped to serve and clear up after the breakfast. 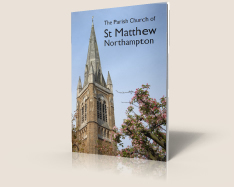 For the last four years, St Matthews has been the sixth highest giver out of 40 churches in the Northampton area. Let’s hope we move up the ladder this year! 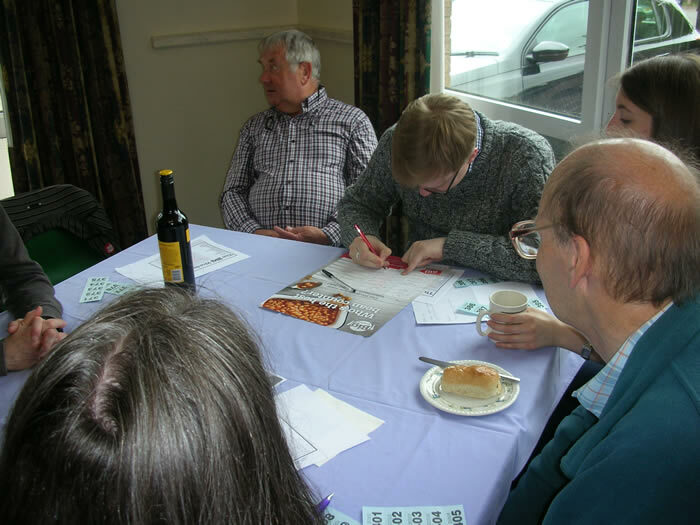 Please find below a selection of photos taken at the Breakfast, where a tombola, cake stall, raffle and games added to the money raised.